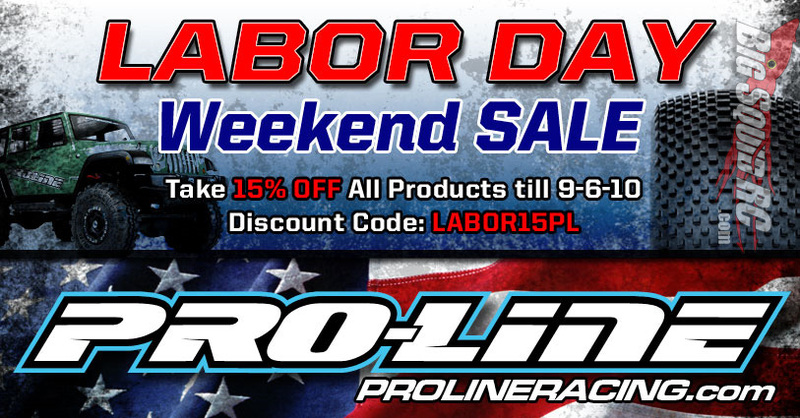 Pro-Line Labor Day Weekend Sale « Big Squid RC – RC Car and Truck News, Reviews, Videos, and More! Getting in the sale spirit, Pro-Line has a sale going on for 15% off till September 6th 2010! Use discount code LABOR15PL to get your savings! Head over to the Pro-Line page, and stock up on some bodies and tires!